But Einstein’s heart was as large as his famous brain. His love for humanity equaled his fascination with the universe. 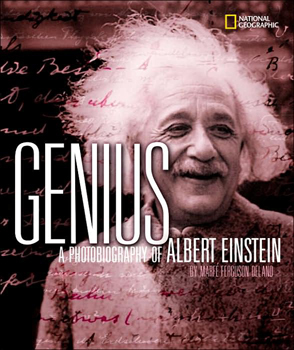 His flyaway hair, his rumpled clothes and lack of socks, and his gentle eccentricities charmed most of the public, who treated him as the world’s first celebrity scientist. His deeply held beliefs on justice, personal freedom, pacifism, and opposition to tyranny prompted him to speak out against Adolf Hitler and Joseph McCarthy and to speak up for Jewish refugees and civil rights leaders. Marfé Ferguson Delano brings us a compelling portrait of this scientist with the big heart and the big brain.